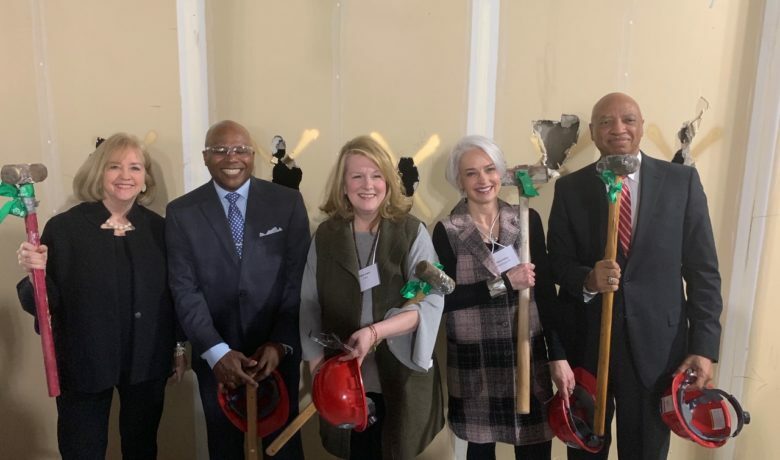 Historic announcement nods to strong City-County partnership. 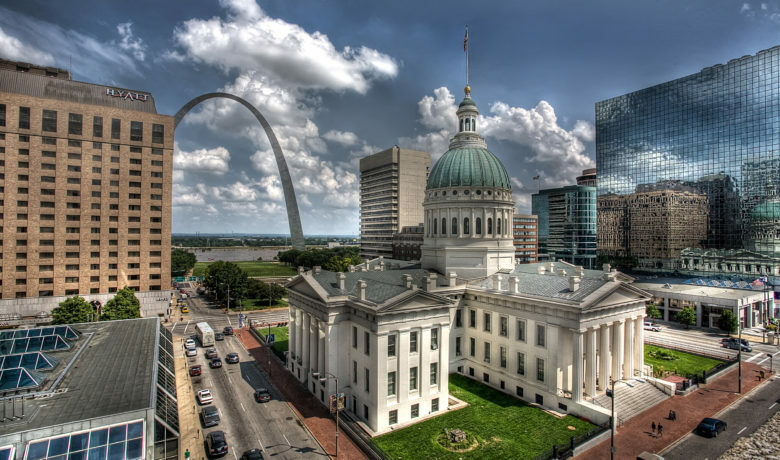 Today, officials of St. Louis City and County have come together to announce the AC Next Gen Project, which will update and expand the America’s Center Convention Complex to secure its place as an economic and employment driver for the entire region. 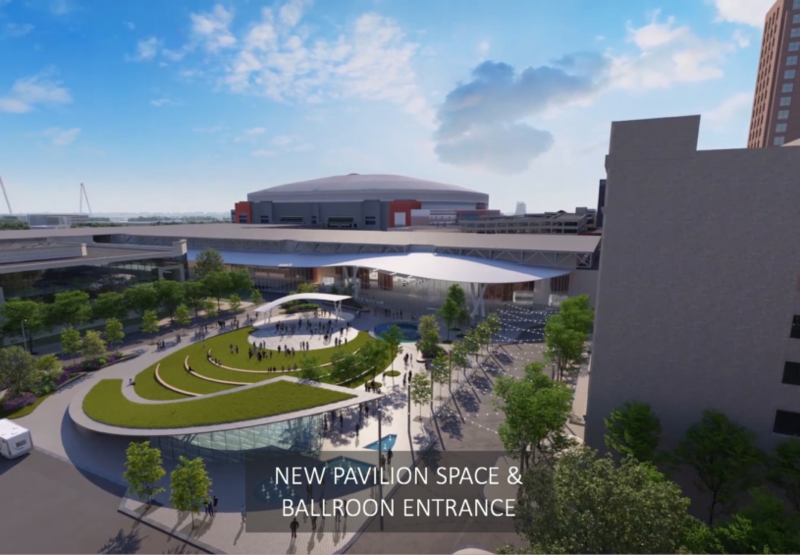 The need to expand the Complex has never been more urgent as cities across the country are making large investments in their convention centers and luring lucrative meetings and events to their communities. 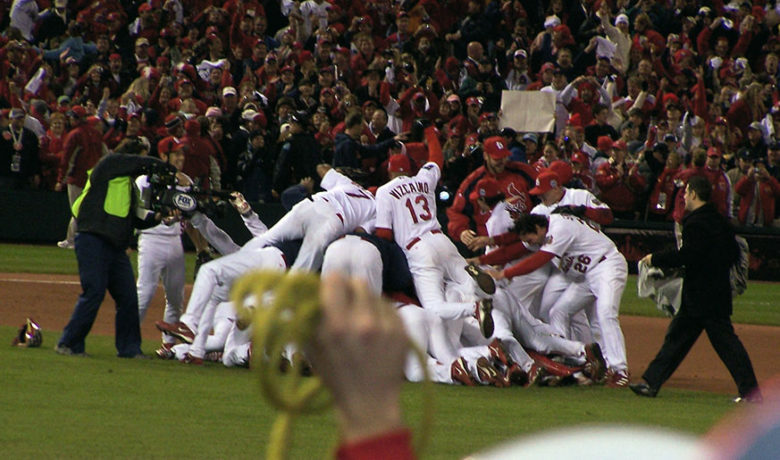 It is time for the St. Louis region to come together and invest in America’s Center that is critically important to the City of St. Louis, St. Louis County and the State of Missouri. 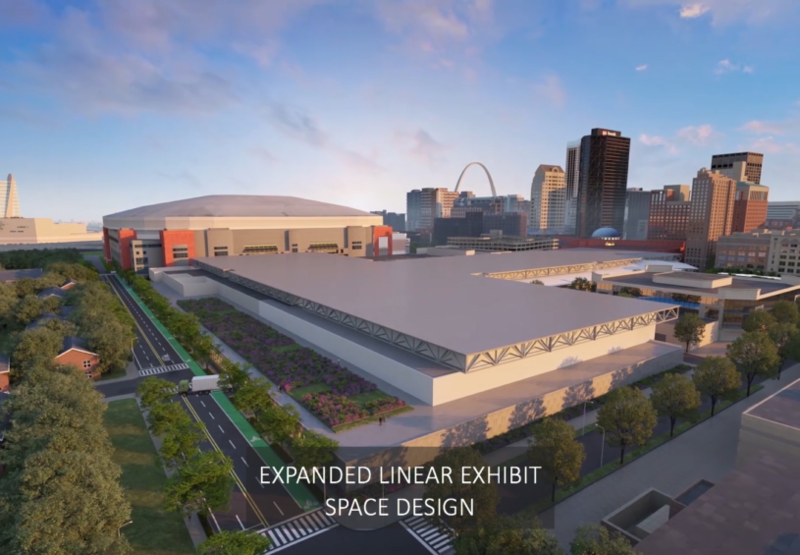 • Addition of 92,000 square feet of highly usable exhibit space, which enhances the exhibit hall layout of the Complex allowing the facility to host larger events. 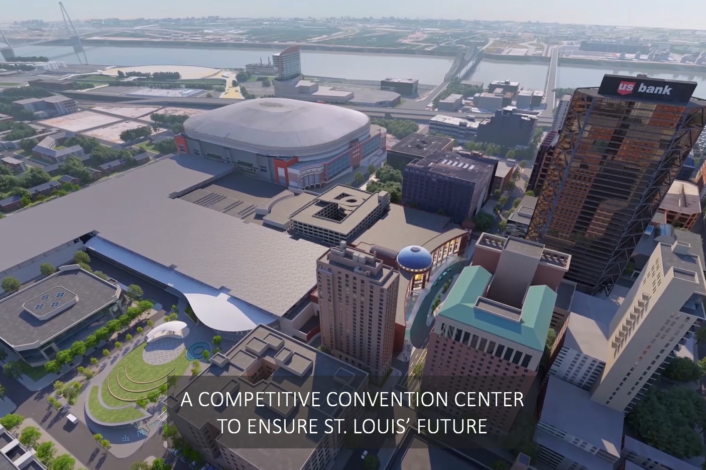 • A 65,000 square feet signature multi-purpose ballroom and meeting area with 20,000 square feet pre-function event space for clients, positioning St. Louis dominantly in its competitive set. 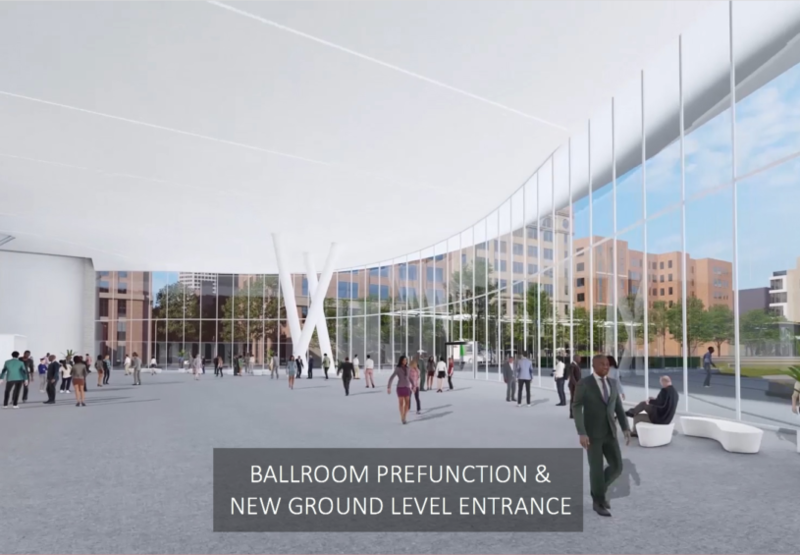 • 22,000 square feet of new support space to improve service access to current and new exhibit halls and ballrooms. 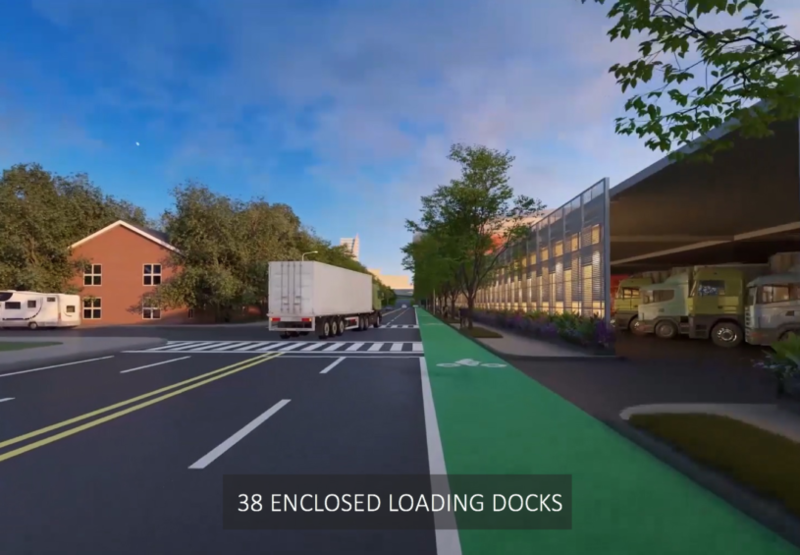 • The construction of 26 new loading docks and renovation of existing 12 docks that will all be enclosed to enhance access and aesthetics of the building and surrounding areas. 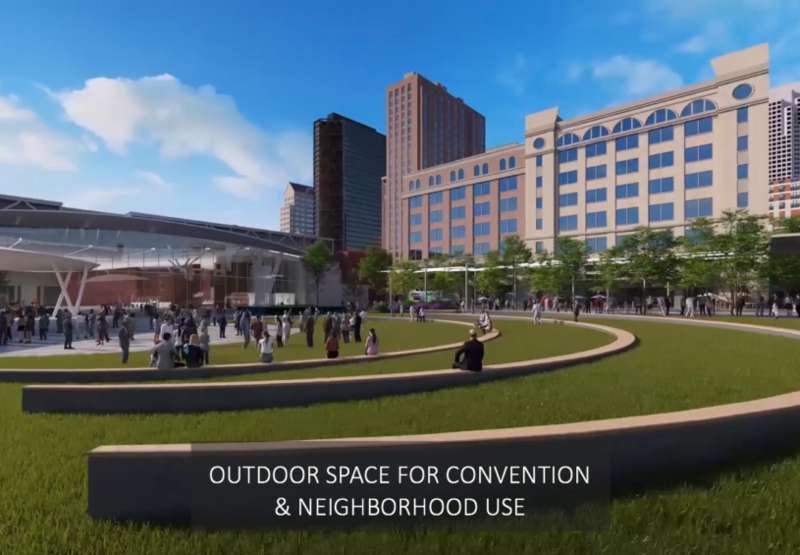 • An outdoor pavilion to serve the needs of convention attendees and improve the convention center district ambiance for residents and area workers as well. 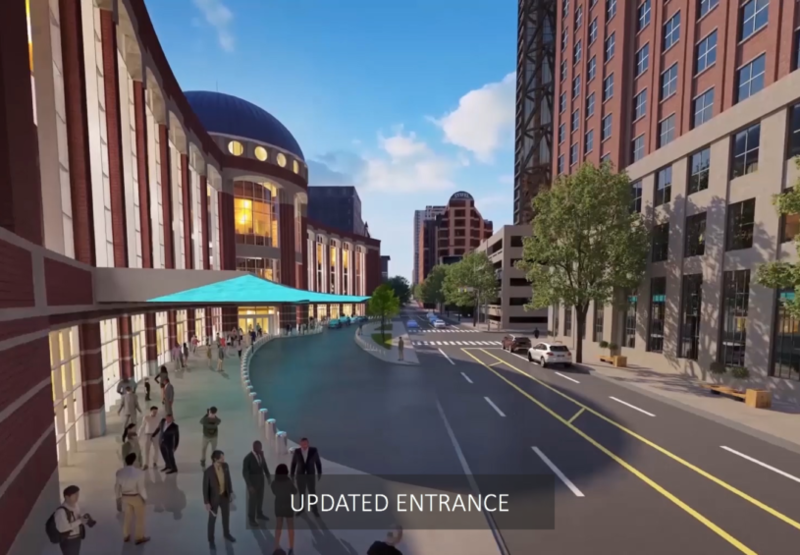 • Refurbishment of the central Washington Avenue entrance, which serves as St. Louis’ front door for the hundreds of thousands of event attendees who visit the Complex. • The Dome will remain a flexible multi-purpose venue for meeting planners and other clients hosting large-scale events and activities.